USD 300.00 a day with this CNC Plasma Cutter? If you are interested in increasing the profit of your business or explore to a new business opportunity then this is going to be the most exciting message you ever read. 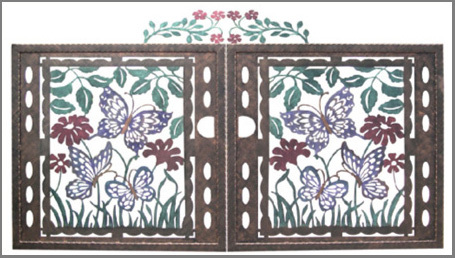 Now small shop owners, ornamental iron works, wrought iron furniture makers, engineering workshop, HVAC fabricators and others on limited budgets can afford CNC plasma cutter technology. 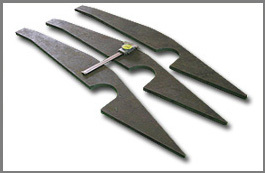 We had make CNC plasma cutting more easy and economical than ever before. This system is causing engineers and metal fabricators to rethink the whole approach to design and manufacturing. You can make things you could never have done before by hand. Imagine being able to build unique metal products, railings, gates, furniture, HVAC ducting, etc. and really compete with mass production products imported from China. Wouldn't that be great? Or what about if you could now invent, design and produce new mechanical devices so fast that your competitors won’t have a chance to keep up. How would that feel if you could do this? Imagine being able to cut a metal art products or sign for yourselves and people wonder how you are doing it. It truly is possible, but you need to know how. That's what this smart designed machine could help you to do. It covers nearly everything you need to know about to cut parts with a cnc machine within a few days, to run a service centre business and even we will help you to generate sales enquiry for your business. And it's not like any other Machine you've ever invested to increase the profit of your business or explore to a new business opportunity. You can learn to operate a CNC machine within a few days with little basic computer experience within a few days, to run a cutting service centre business and we will even help you to generate sales enquiry for your business. You can train a non skill worker to operate the machine and generate for you the profit higher than 5 persons or even 10 persons of skill worker you employ for those works. You can make a part in 5 minutes which usually take you 2 hours. You can make things you could never have done before by hand. The machine makes you super easy to go from your idea or imagination to a quality cut parts. You now how our competitors promise they will train you until you know how to run the machine but usually they never do, because even themselves seldom run a CNC plasma cutting machine. Well what we do is Guarantee we’ll train you until you know how to operate the machine, calculate the operation costing & cutting service charges and also support you with all of our skill and experience we learn from running our own cutting service centre. You now how our competitors don’t have a professional service team to support the technical problem or maintenance of CNC machine, because CNC plasma cutting is only a small portion of their business. CNC control troubleshooting is too complicated for them. Well what we do is develop and design the machine and CNC controller by our own factory. We know CNC Plasma Cutting from A to Z. We haven’t seen anything we can’t solve on our machine! Well what we do is selling the machine direct from our own factory. We offer you a great saving up to 30% or more from the middlemen’s profit and also shipping and traveling expenses from oversea. You know how our competitors never keep stock for their machine parts. Once your machine downed, you have to wait for a week or month before you can run your production again. Well what we do is we have kept all the machine parts in our factory, so that you will never have to worry about the down time because of parts delivery. No matter what however, it's a bargain for you. And yes, I plan on raising the price very soon. So you'll want to be quick if you want to save some money. And don't worry, if for any reason you're not happy with the machine, you have a complete guarantee to protect your investment. I bought theACTECH CNC Plasma Cutting system. The end result? This amazing machine helps me to cut a gate sell for USD 1, 300 within 130 minutes! We cut variuos shape of aluminum panel size around 3 x 3 meters within 3 minutes paer piece by one operator with the ACTECH CNC Plasma cutting machine. Within just 3 days of using this machine, the increase in order covered the machine installment. As they say, the proof is in the pudding. And these people are super happy. Just like you’ll be. You’re getting the opportunity you need … PLUS MORE. Now, you can only get this product from me. It’s not available in anywhere else. Just imagine being able to start to explore this new business opportunity right away.